Figuring out if your child is using drugs or alcohol can be challenging. Many of the signs and symptoms are, at times, typical teen or young adult behavior. Many are also symptoms of mental health issues, including depression or anxiety disorders. Explore our parent Drug Guide for even more substance-specific warning signs. If you’ve noticed any of the described changes or behaviors in your child, don’t be afraid to err on the side of caution. Prepare to take action and have a conversation during which you can ask direct questions like “Have you been drinking or using drugs?” While no parent wants to hear “yes,” being prepared for how you would respond can be the starting point for a more positive outcome. Of course, not every child is inclined to confess and a “no” could also mean they’re in need of help for other reasons, including a mental health issue. In either case, experts strongly recommend that you consider getting a professional assessment with your child’s primary care doctor or a clinical psychologist to find out what’s going on. You can never be too safe or speak up too soon. 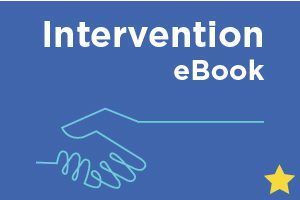 Even if you think they’re just “experimenting.” Download our Intervention eBook and begin taking the first steps toward helping your child with his or her substance use.